We replaced our old mattress. And, I’m in love with the new one. It’s a blend of memory foam and cooling technology. Truly wonderful. Our old bed was ‘dented’ from our years and years of sleep so crossing the middle line? You kind of knew you were doing it because it was uphill. Know what I mean? But now, there’s no way to know. 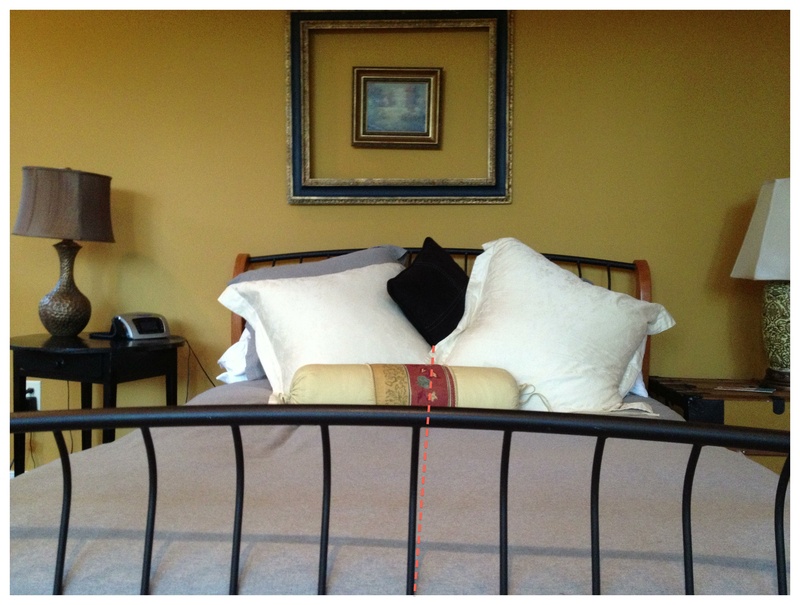 Well, no way short of counting on the headboard or estimating how much space you have to the edge. So there’s lots of infringing going on around here. And I admit a bit of guilt here. But it’s so comfortable. I can’t really help myself. Is that so bad? I had this problem when we got our new memory foam bed a few years ago. I feel badly for my husband because when I “cross the line” it’s often my icicle feet that find him first.